Managing parking facilities is a particularly important concern for hospitals in need of reliable solutions to optimise parking availability. Technology designed to facilitate payment, simplify maintenance, and guarantee proper functioning of the parking systems while creating a seamless experience for users. With more than 60 years of experience in the supply of integrated solutions for automating residential, public and urban environments, CAME has developed a turnkey solution for hospitals that responds to their management requirements and resolves the issues that most commonly affect them. 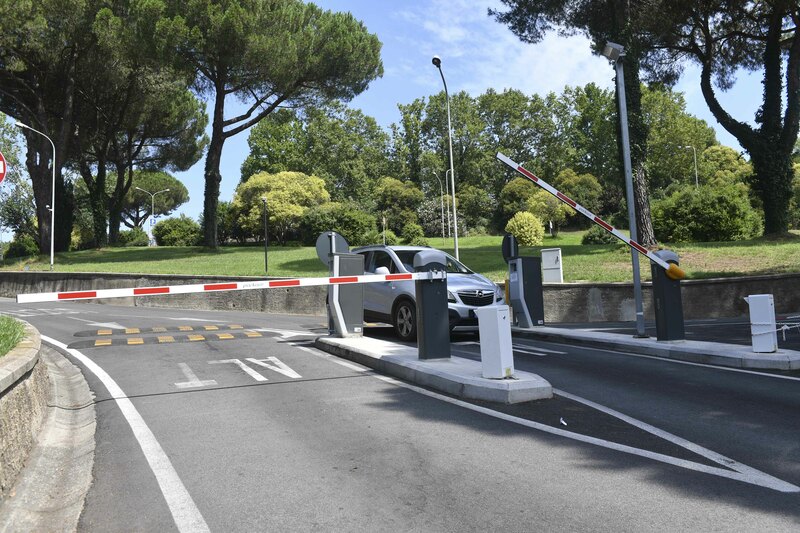 Chosen for its capabilities, the company will act as technology partner to create parking management systems for Rome’s San Pietro (600 parking places), European (100 parking places) and Aurelia hospitals (250 parking places). To this end, CAME has taken advantage of the know-how of CAME Parkare, the brand of the Group specialised in urban mobility and able to offer customised, scalable and highly-personalised solutions using technology designed to simplify payment transactions and manage routine maintenance to ensure operation of the system over time. Aurelia and European hospitals were in need of reorganising and rationalising the parking spaces within their facilities, managing the flow of traffic, and guaranteeing services differentiated according to user type. Another key necessity was to make it easier for the medical personnel of both hospitals to access both parking areas using a single card. Along with improving efficiency, a primary goal for San Pietro hospital was to create two new additional parking areas – one reserved for employees charged on an access basis and one for the public charging hourly fees. CAME’s PKE system has been chosen to manage all three hospitals and is an ideal and flexible solution that guarantees high performance and is user friendly. Based on a network of automatic devices that regulate access, payment, and keep track of all activity within the parking facility, PKE technology is versatile and highly-customisable. The terminal displays can be customised with the client’s logo and feature a voice synthesis function that guides users and simplifies parking operations. 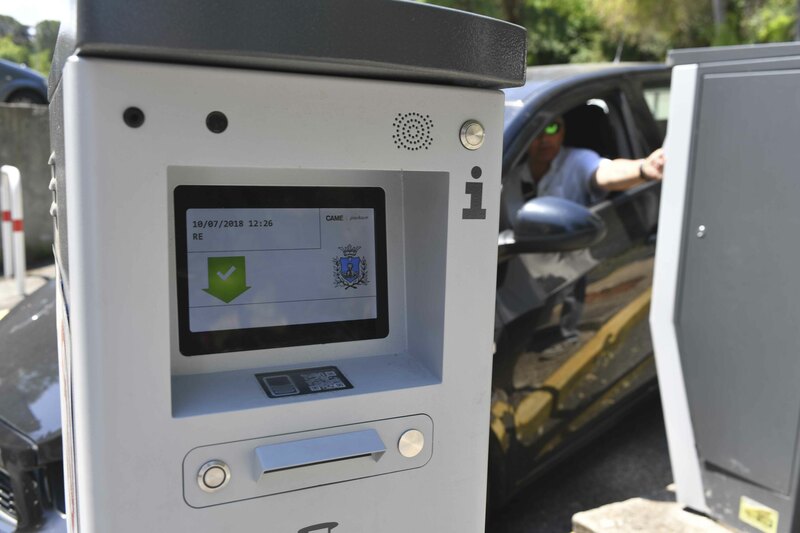 The PKE system’s entry terminal comes equipped with a double printer and has been specifically designed to satisfy high traffic parking needs, guaranteeing high autonomy performance of the system (12,000 tickets) and reducing ordinary maintenance. The standout feature of CAME’s Parkare technology is Lince 6 management software, a cloud-based solution that enables hospitals to manage rates according to vehicle type and allows them to distinguish various user types, reserving different options for visitors, employees and service workers. In this way, all three structures have been able to personalise their rates and manage special fees for specific types of patients or ER users. 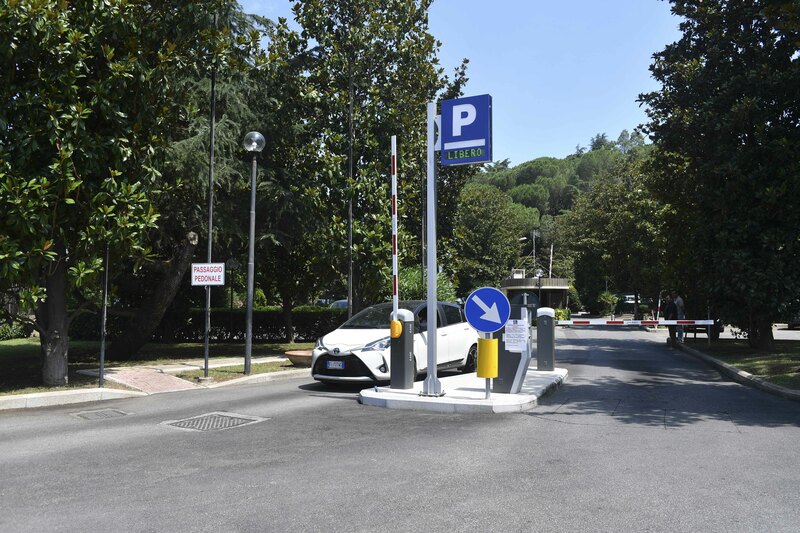 For example, San Pietro hospital was able to create a new short-stay car park that offers free two-hour parking for quick hospital entries and exits. In addition to short-stay parking tickets with QR code, all three hospitals now offer the possibility for its medical personnel to access the car parks using a practical proximity card that can be easily topped up at the automatic cashier machines. This essentially means that employees of Aurelia and European hospitals can access the parking areas of both hospitals using a single card. To further simplify things and guarantee maximum efficiency, Aurelia hospital has also decided to install a license place reader system to enable quick entry and exit for ambulances. San Pietro hospital has opted for an additional feature to guarantee parking availability for all of its medical personnel: in cases where the area reserved for staff parking is full, employees can access the visitor parking area and pay employee rates without being charged by the hour. Besides implementing a Lince-6-based license plate reader system, CAME Parkare also features video camera functions linked to a VoIP video interphone that is already in use, offering a truly bespoke service. CAME's parking system operates eight parking zones at the UK's second-largest airport, a transit point for over 45 million passengers each year. Back in 2016, CAME Parkare UK responded to the public tender issued by Chelmsford City Council for the replacement of their current parking systems located at several sites throughout the city. Simple, straightforward and easy to use – PKE ticket issue machines are designed with users in mind.